Ongoing partnership sees award-wining books offered to 30 early childhood sites around Victoria. Mission to improve and encourage reading by Australian children, including those in Aboriginal communities. More Reading Together postcards and book lists to be distributed. The Victorian Branch of the Children’s Book Council of Australia announces the second phase of their successful Reading Together program, proudly supported by The a2 Milk Company. In partnership, CBCA Vic. and The a2 Milk Company will distribute Book Boxes, containing titles from the CBCA Vic. suggested reading list to Best Start sites throughout Victoria, including six sites that work specifically with Aboriginal communities. Best Start is a Victorian Government initiative to support and encourage the best possible environment, experiences and care for children from birth to 8 years old. 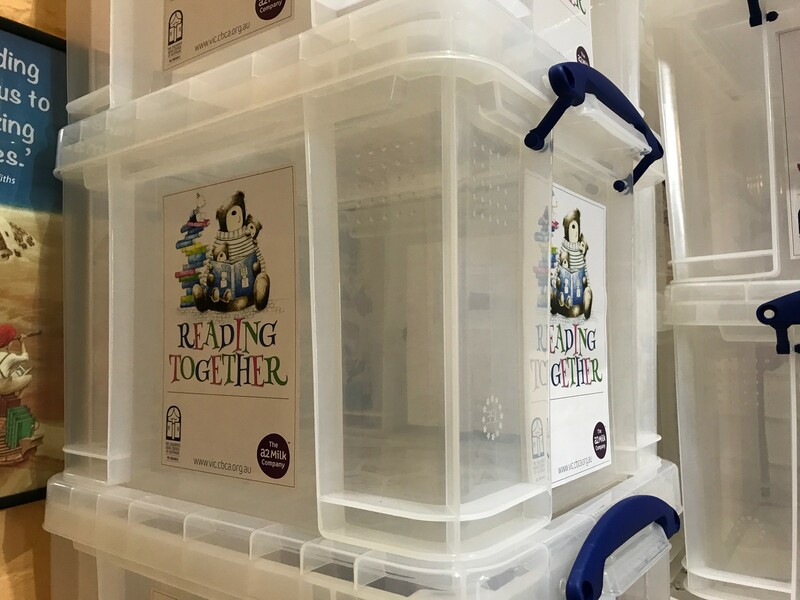 Reading Together was launched in November 2016 and saw the distribution of Reading Together postcards offering parents, professionals and family networks encouragement and advice on reading with young children. Two book lists of age-appropriate books for children 0-2 and 3-5 years were also produced. The ongoing support of The a2 Milk Company has assisted the printing and distribution of additional Reading Together resources this year. CBCA Vic. thank the following Australian publishers Allen & Unwin , Fremantle Press, HarperCollins, Little Hare, Magabala Books, Pan Macmillan, Penguin Books Australia, Scholastic Press, State Library of WA & Walker Books Australia, as well as Dymocks Camberwell for their assistance in the creation of the Reading Together Book Boxes. To develop an awareness of quality children’s literature. To foster young people’s enjoyment of reading. To disseminate information to the general community about children’s books and reading. To encourage and promote Australian authors and illustrators.